Young, Wild and Three! Text with Watercolor Floral Wreath Design Girls Fringe Dress Design. Also as a Bodysuit(Onesie) or Toddler T-Shirt! Crawl. Walk. Carve. Text with (Mountains and Snowboarder) Adventure/Outdoors Design. Bodysuit(Onesie) Toddler T-Shirt or Girls Fringe Dress. 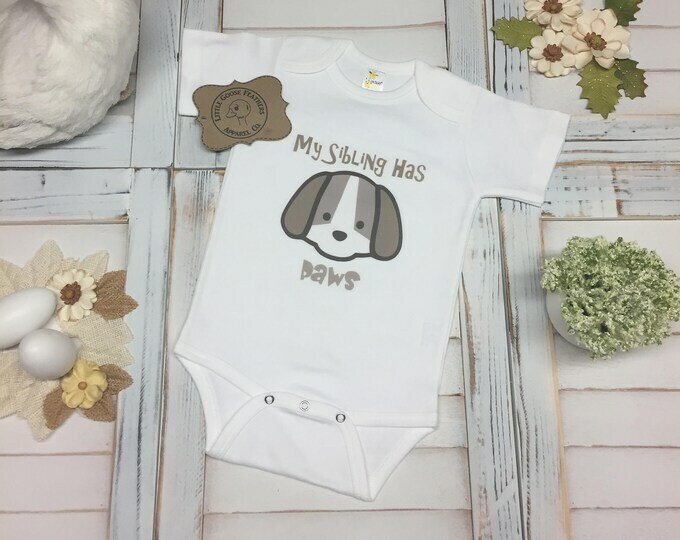 My Sibling Has Paws Text with Cartoon Puppy Drawing Animal Design. Available as a Bodysuit (Onesie), Toddler T-Shirt or Girls Fringe Dress. 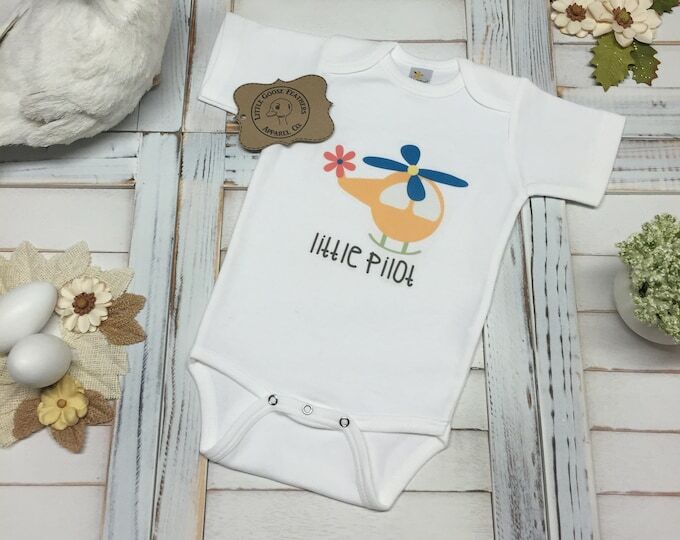 Cute Little Pilot Text with Colorful Helicopter Aviation/Flight Design! Boys Gift Idea! 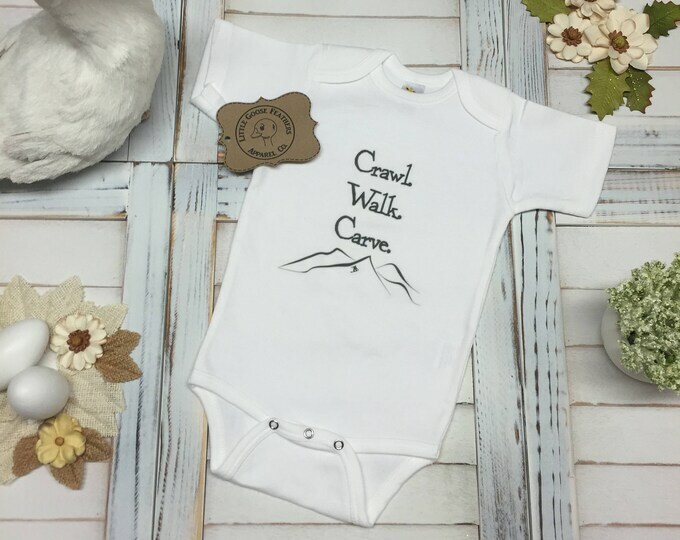 Available as a Bodysuit (Onesie) or Toddler T-Shirt!